Miss N was the last child in my group to have their date night. There are a few reasons for this. Miss N is a bigger child and rather squirmy and vocal. I was taking the easier children first, working out the timings needed, the environment and the school’s levels of acceptance. The school actually invited me to bring the children (through NNR). This concert was not my original choice for her, but the date I planned it for was the same day as Miss K got her doctor’s appointment. We changed it to this one, which was in a different room and later in the evening. For this reason, the superintendant asked for a member of staff to attend with me. I was a little anxious about this, because Miss N can be grumpy with ward mums, but she was on top form, so I needn’t have worried. That day I did the other five children in the morning with my volunteer’s help. This gave me time to feed a few of the kids and then focus on Miss N. I got her showered, did her stretching and bouncing to help her get her wiggles out. Also my aim was to have her with me to help her feel secure. I got her dressed in her blue dress and leggings and we were ready to go. She was so sweet on the way there, reaching and holding the ward mum’s hand. It was the same driver as drove the rest. The ward mum loved the massage chair and Miss N loved interacting with me. I had again given too much extra time before hand and so we had time to roam. I held her on the swings and we went for a walk. She was so content and smiling. We headed to find the room so that we were sure of how to get in. It was on the second floor and we came across the lift by chance. The cleaner told us which room it was in and that we could wait in a two storey room with two grand flights of stairs and a piano. She added that it was ok to play on the piano. We moved the bench across and wheeled her up and she was at the perfect height. We helped her play the keys in this amazing room that resonated the sound. She laughed and smiled as we helped her. After this, it was time to go in and we positioned ourselves on the first row because the wheelchair would not fit with front and back wheels both on the same step. We had to move the poinsettia flowers a little to leave a walk way past her feet. There was quite some time while the performers did scales and played the start of a tune to check everyone’s pitch for their various instruments. 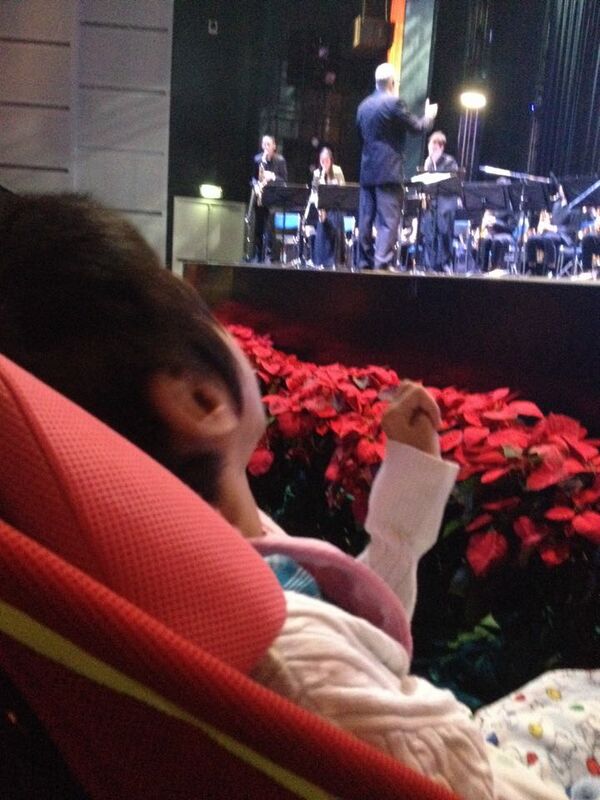 I chose a band performance for Miss N, so that it would be louder than she was if she got loud. The waiting for it to start and the introduction parts were when she got vocal, but it was clear she was listening. The yogurt melts were a big help. She came out and back into her chair twice for a change. There were guitars first, then a full orchestra and then the jazz band. One guy sang a solo and he was one of the performers from the musical Mr B and Miss A went to see. He gave us a smile. There were trombones doing the jazzy left right moves and quite a few solo parts. I knew it would be hard for her to sit still and quiet, but she really did better than I expected. I had to be busy with her most of the time…. hand holding or tapping etc. It was clear that she was moved by the music. The ward mum told me afterwards that she had never been to live music before and that she loved it. She was super pleased with how happy Miss N was on the trip. On the route back, the ward mum enjoyed the massage again and Miss N got a bit more fisty with some grabbing at me. It was not for long as we were back really quickly. 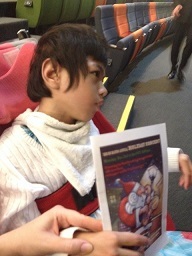 Miss N did so well generally and the ward mum said she had loved it and felt lucky to come. The car came back to get us and the ward mum enjoyed another massage. On return Miss N undressed and put on ward clothes. It was a nice night out, even though it was physically challenging. Miss N’s smiles were such a reward though. I’m so grateful to Mar Kark for coming with us, my boss for allowing it and of course Casey and her driver. They are so kind to us. Thank you to NNR and ISB for the invitation to attend. 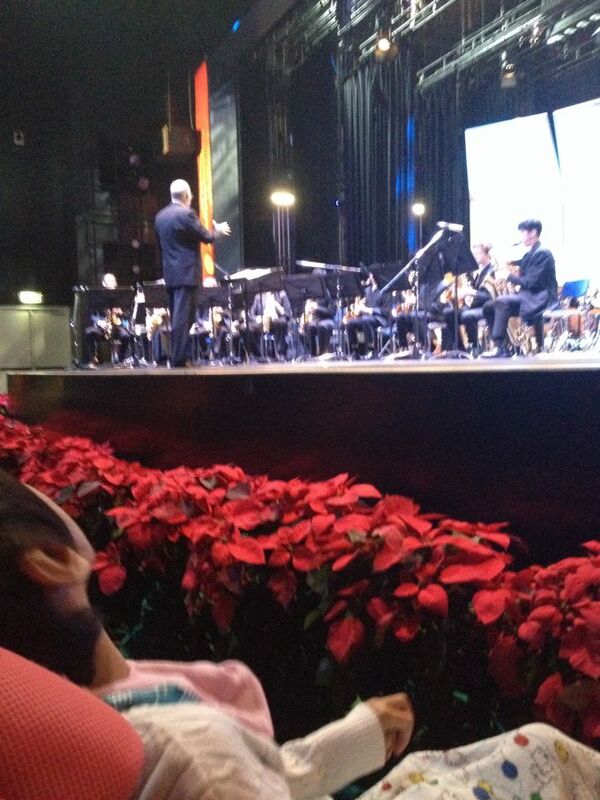 It was really such lovely music, so well done to the students. 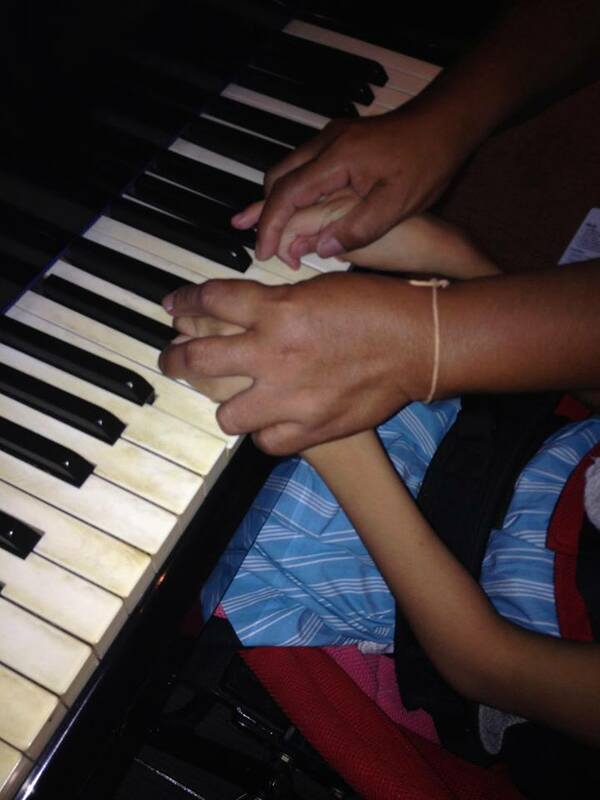 Great that she enjoyed the trip and had little extra experiences like playing the piano. Sounds like a positive trip for you all.